When you’ve worked up an appetite, there’s no better place to enjoy a meal than along the waterfront. Fish lovers who have enjoyed all of the best seafood restaurants in Boston and best oyster bars in Boston can even further indulge with fresh seafood by the seashore. 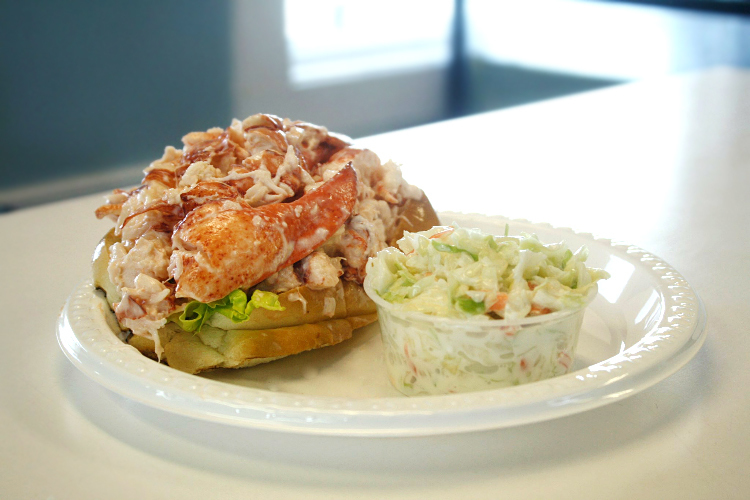 If lobster is your sole priority, check out our lists of the best lobster rolls and best lobster dishes around the area. 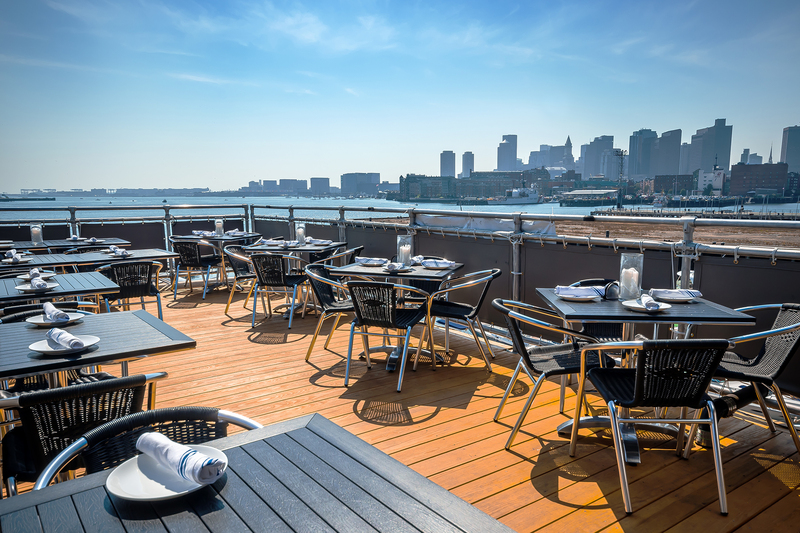 Here are Boston’s best waterfront restaurants where you can eat, drink, and enjoy the views. 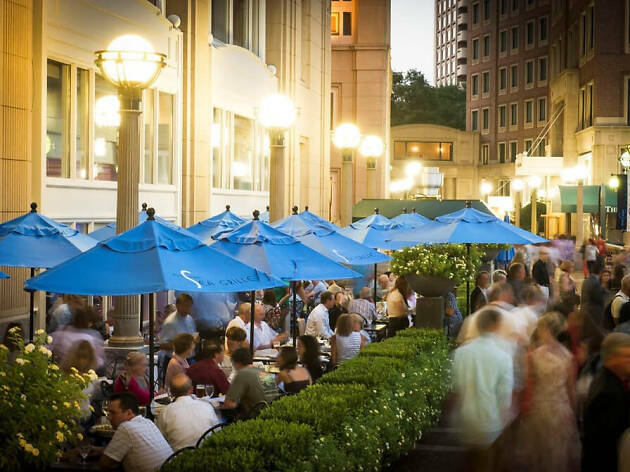 For more outdoor options, check out our list of the best outdoor bars in Boston. 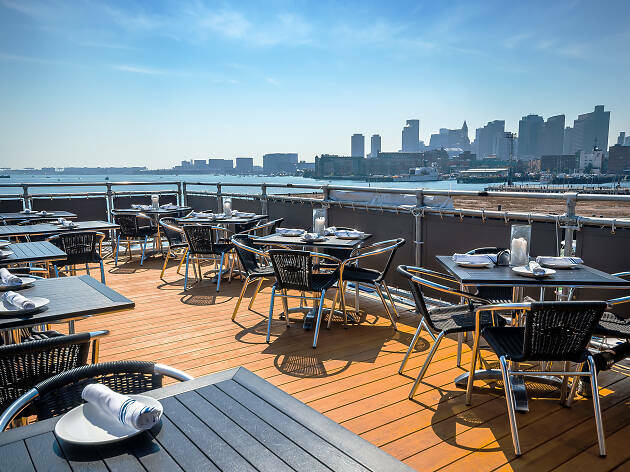 The flagship location of the Legal Sea Foods empire offers three floors of different dining experiences, all with sweeping views of Boston Harbor. The first floor is right on the Harbor, plus you can watch oyster-shucking action inside. The second floor has waterfront views, but it's the roof deck and bar—complete with a retractable roof—that draws big crowds for open-air drinks and bites. 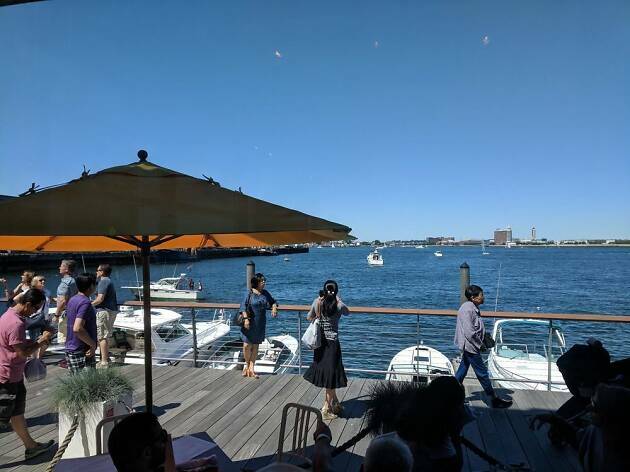 One of the city's most scenic outdoor dining options can be found in Charlestown, just steps from the oldest commissioned naval ship in the world, the USS Constitution. Tables on the water are always in demand. 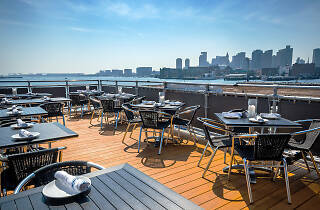 The seafood-focused menu (raw bar, lobster rolls, crab cakes, clam chowder) comes with stunning views of Downtown. 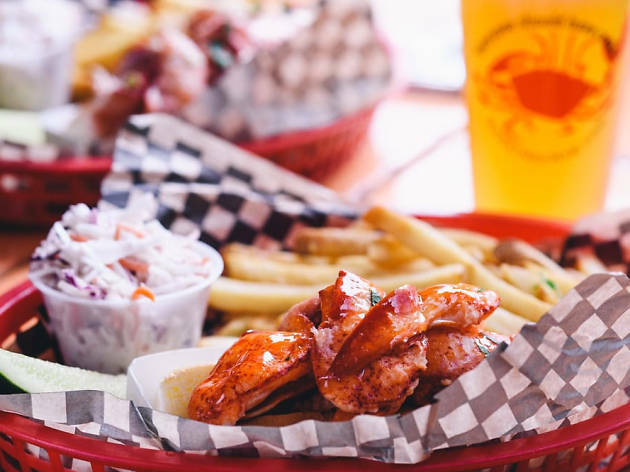 This red-shingled seafood shack and open-air tent is party central all summer long for both locals and tourists. Set right on Boston Harbor, the summertime clam shack vibe extends year round. Sit right on the water and dig in to buckets of fried clams, peel-and-eat shrimp, lobster, and more. 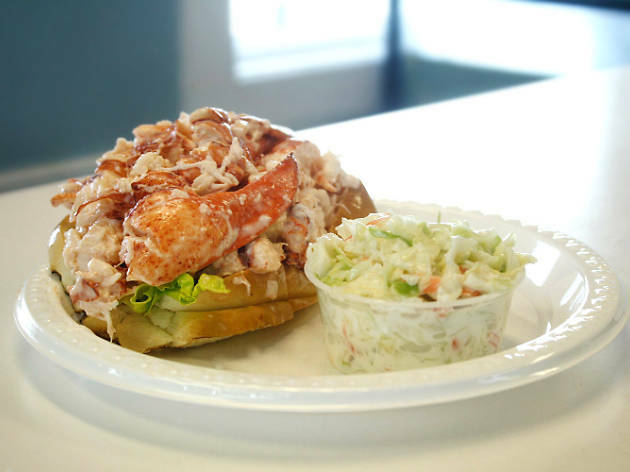 This Revere Beach staple has a all the New England favorites like lobster rolls, clam chowder, fried scallops, and more. The roast beef, however, is the star, as is the beachfront dining. Grab a juicy roast beef sandwich and take in the ocean views. 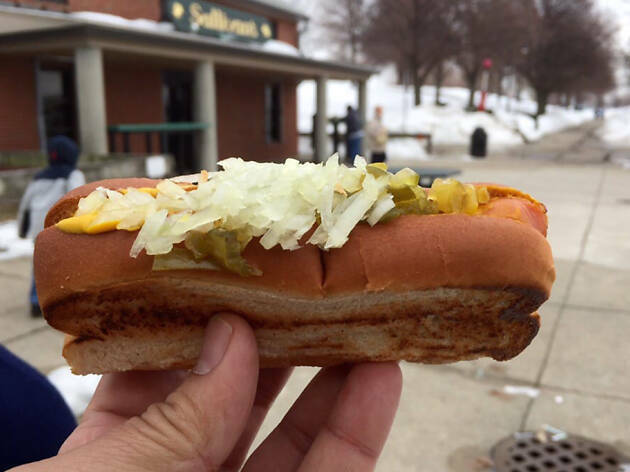 This seasonal joint has been doing its thing on Castle Island since 1951. 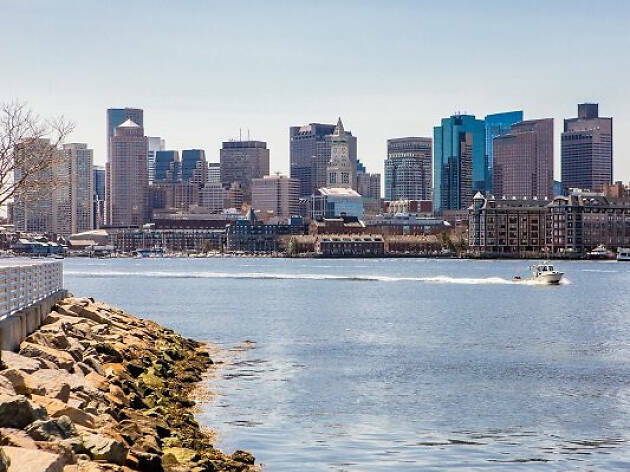 The cheap hot dogs, fish and chips, and burgers are not glamorous, but the views of the Boston Harbor Islands are hard to beat. 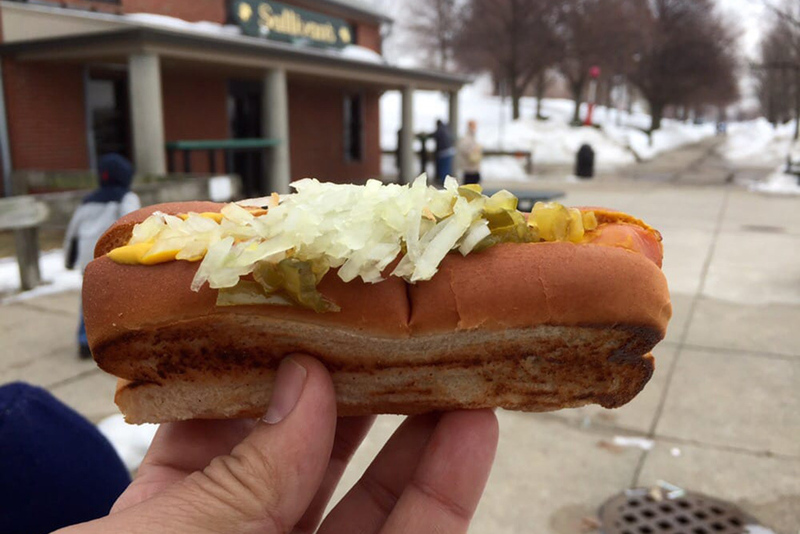 It's worth the trip for the under-$2 dog and some ocean breezes. For coastal cuisine with global influences, head to ReelHouse. 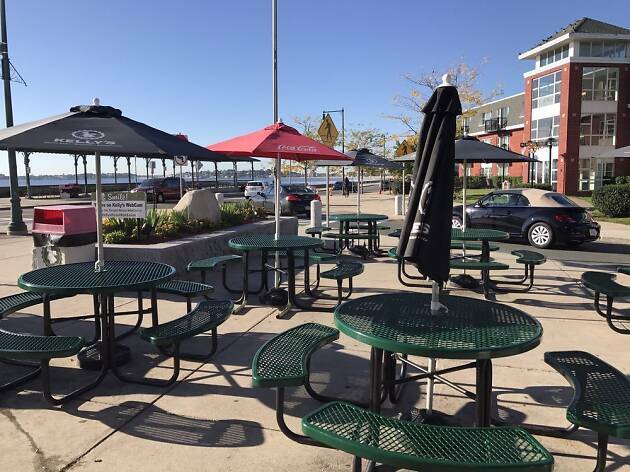 The prominent waterfront location in East Boston offers al fresco dining with beautiful views of the city. The restaurant's nautical stylings complement the refreshing cocktails and dishes such as the New England-style clam bake, seafood fra diavolo, and Faroe Island salmon. Where better to enjoy more than 250 varieties of tequila paired with elevated Mexican cuisine than on a patio with waterfront views? 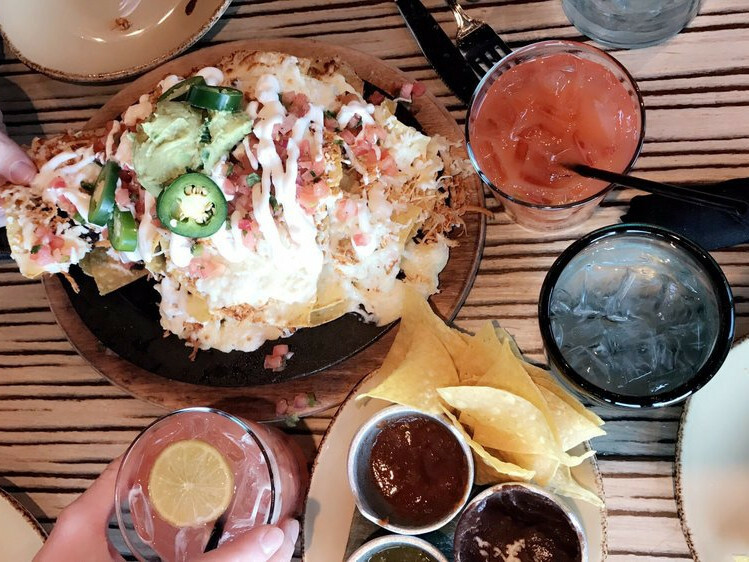 Catch a breeze at this Seaport destination while dining on more traditional chorizo empanadas, mole enchiladas, and grilled skirt steak tampiquena or unique offerings like Veracruzana grain salad or scallops al pastor. This classy-casual spot in the Boston Harbor Hotel serves fresh, inventive seafood dishes year-round. The seasonal patio is on the water and offers excellent views. In the summer, live music makes for a perfect evening of cocktails and dining. This New England landmark has been serving classic seafood dishes on the historic Fish Pier since 1917. Even though it's popular with tourists, locals can be found catching a breeze and dining on fresh steamed lobsters, shrimp platters, clam chowder, and more, all with beautiful harbor views. 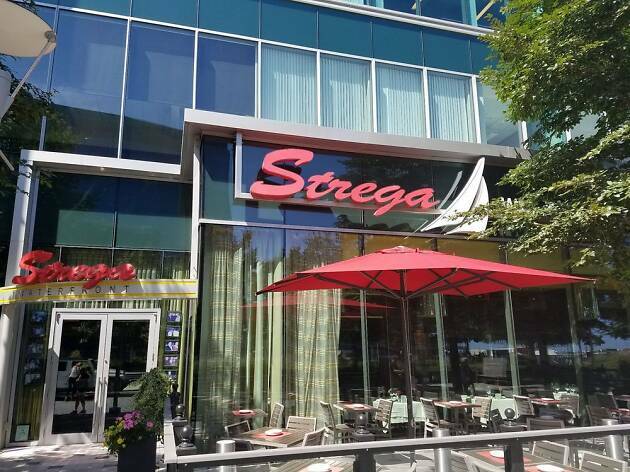 A popular spot for a celebratory dinner, Strega serves classic Italian fare, seafood, and steaks in a fabulous setting in the Seaport. The glam interior features original artwork and two fireplaces, but the outdoor dining area offers Harbor views and gentle breezes. 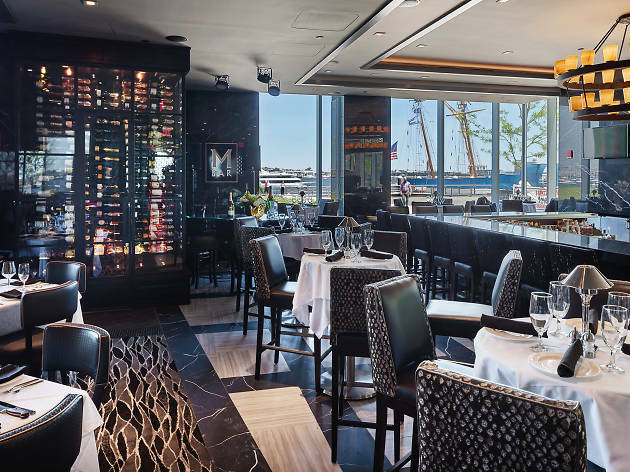 Mastro’s is another classy Seaport destination, serving luxurious surf and turf with stunning views of Boston Harbor. This high-end steakhouse features sizzling steaks, decadent seafood towers, and a range of appetizers and entrees, from oysters and crab cakes to sushi and lamb. Floor-to-ceiling windows offer great Harbor views, especially at night. The sleepy seaside town of Winthrop is home to Belle Isle, which serves one of the best lobster rolls in the area. A traditional griddled hot dog bun is stuffed with a huge portion of lightly-dressed lobster chunks, topped with a full claw. The waterfront location makes for classic summertime dining. Take a water taxi for the full experience.